Animal rights lawyer Steve Wise has spent decades working on a daunting task: achieving civil rights for animals. “Without personhood, you are invisible to the civil law,” he says. This film highlights his work starting with chimpanzees, as he fights to change every chimp from “a thing” to a “legal person” with protections under the law. The film premiered in January at Sundance and screens next week at the 2016 Sarasota Film Festival. This philosophical film, which received several award nominations, offers reflections on life and death, with avant-garde artist Laurie Anderson’s beloved rat terrier Lolabelle (who played piano and finger-painted) at its center. 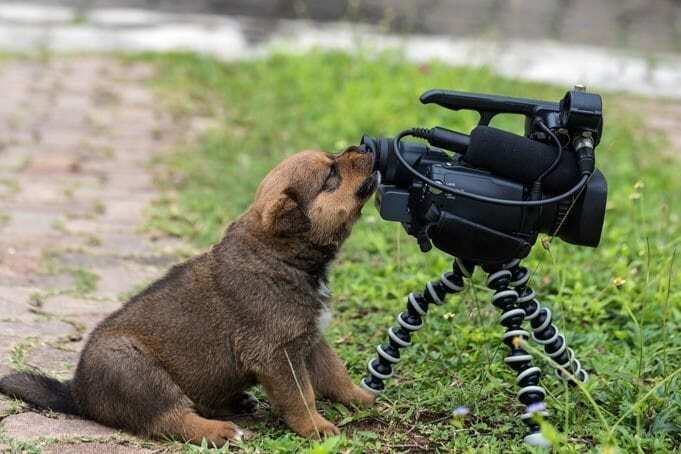 Animal lovers who’ve suffered a loss will surely connect with the heart of this film. Click here for a screening near you. What is it like to be a street cat in Istanbul? This documentary answers that question, with stunning footage of tough felines surviving and thriving in the city. “The love of animals is a different kind of love,” says one man interviewed in the film. “If you don’t love animals, you can’t love people, too.” Catch KEDI next month at the Full Frame Documentary Film Festival in Durham, North Carolina. This film shares the inspiring comeback stories of various pit bulls—and the people who rescued them following NFL quarterback Michael Vick’s fighting ring. See how these special dogs got their second chances, and learn more about combating breed prejudice. To find a screening near you (or even host your own), click here. This award-winning film follows Greenpeace’s incredible rise from a grassroots group of ecology “rainbow warriors” to the leader of the modern environmental movement. Watch now on Netflix, iTunes, Vimeo and elsewhere. The dark side of puppy mills is revealed in this eye-opening documentary, as well as the huge amounts of money people are raking in by engaging in this totally inhumane business practice. Some of the footage is absolutely heartbreaking, but hopefully getting the word out will incite change. Catch it on the big screen on April 7 in Kansas City. Produced by Disneynature, this film follows the amazing story and struggles of a newborn monkey with his family in the wilds of Sri Lanka. Child-friendly and filled with breathtaking footage, the film is viewable now on Amazon and Netflix. This Netflix release, which takes place in Virunga National Park in Africa, features the brave individuals fighting to save endangered gorillas and natural resources in the Congo. An eye-opening call-to-action that uses hidden camera footage, the documentary also works on a theatrical good-vs.-evil level. After practicing meditation daily for many years, I made a startling discovery: Meditation doesn’t require one to light a candle and sit pretzel-like on a cushion with eyes closed and your hands in a formal position. Informal forms of meditation—taking a walk or riding a horse, for example—can be just as powerful (if not more so). That’s because meditation aims to bring all of our energy here to this present moment, and open our hearts to the peaceful power that exists in the now—something animals instinctively know how to do. It matters not how we do this, but rather that we do it. Last year, I wrote “How to Transform Skeptics Into Believers,” an article about my five best tips for breaking down barriers when bringing Reiki and meditation to shelters and sanctuaries. Though holistic approaches are starting to gain wider acceptance in recent years, many of us still encounter pushback from critics when attempting to share Reiki with animals in need. The following story comes from one of my SARA shelters, TOLFA (Tree of Life for Animals) sanctuary in Rajasthan, Northern India. For those of us who work with shelter animals, where navigating heartbreak and hope is an everyday occurrence, stories like these—of animals who beat impossible odds—remind us why we do what we do. “She has a severe blood disorder. She’s so emaciated, she’s going to need a blood transfusion to survive.” The vet’s words confirmed the rescuers’ worst fears: The condition of Twiggy, as she was later named, looked dire when she first arrived at TOLFA. Dogs from shelters aren’t usually the first choice when it comes to organizations looking to train service dogs. 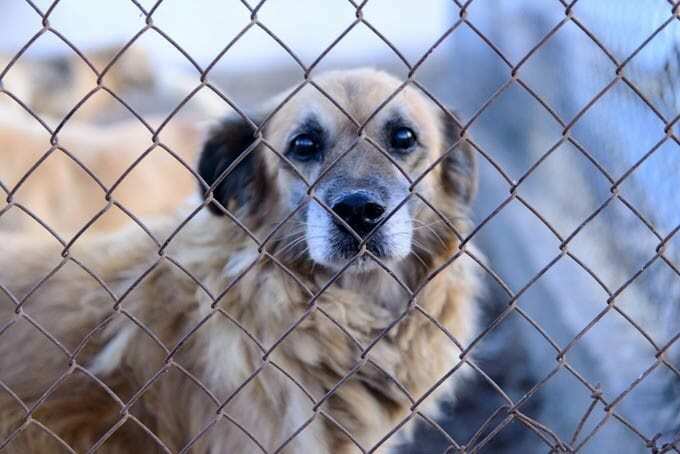 But I hope one day that can change: Nearly 4 million dogs are euthanized in shelters every year, and many of those are breeds best known for making wonderful service animals—golden retrievers, labs, German shepherds and the like. 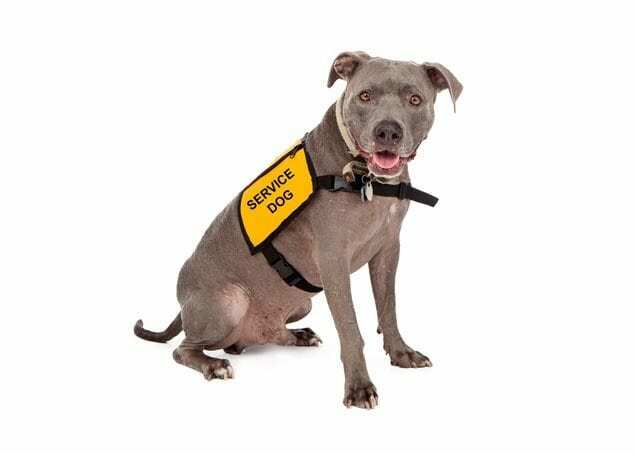 (But did you know pit bulls and “mutts” make great service dogs, too?) 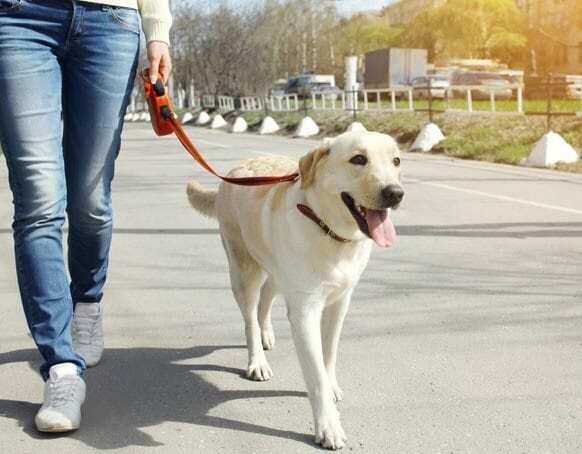 Here’s another factor worth mentioning: Dogs rescued from shelters know what it means firsthand to be abused and neglected, easing that connection with people in need who have found themselves in similar life circumstances. 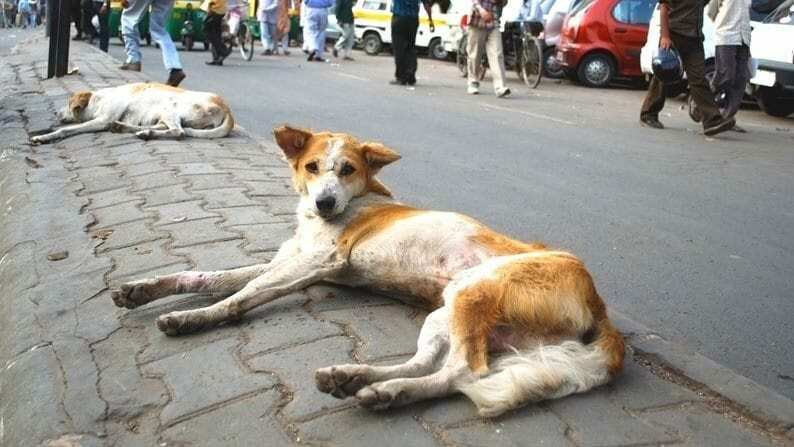 As animal lovers know, companion animals often surprise us; they melt hearts, break barriers and make miracles. And as you’ll see, the following dogs do just that. Read on to see how these seven smart canines went from shelter dog to service dog—and now dedicate their lives to making this world a better place.